The Boqueria french market basket is the ultimate (smaller!) reusable shopping bag. A more petite version of our Manacor, the Boqueria is an excellent choice for a shorter grocery list. 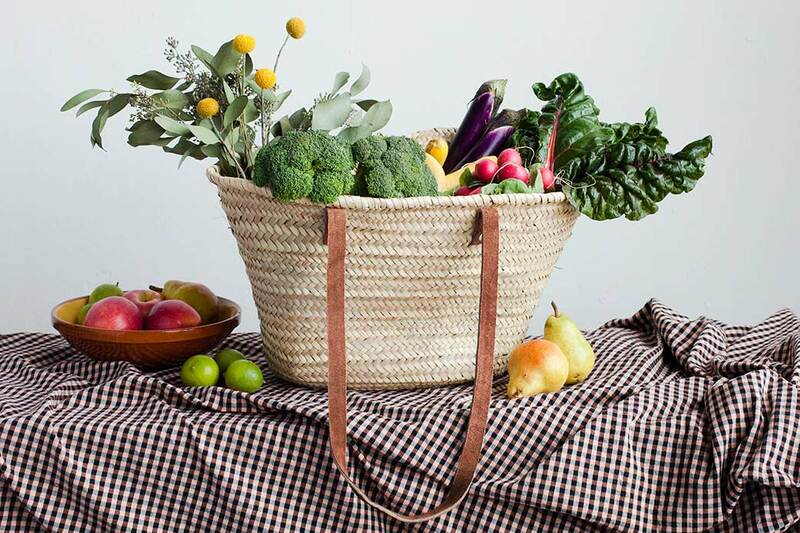 It features two long leather handles that can effortlessly be thrown over the shoulder and a flat bottom so the basket stands up on its own - you'll never head to the market without it! The Boqueria is handmade from durable woven palm leaves, offering structure and flexibility to protect your groceries on your way home.